Our trained, professional nursery staff and volunteers welcome infants through 2 years old into the church nursery during on Sunday mornings from 9:00-11:30am. This allows parents to take part in choir rehearsal or study groups at 9:00 and worship at 10:00 am. The Children’s Choir is a musical adventure primarily composed of PreK-5th graders (although all ages are welcome). Children develop their vocal skills by exploring various genres of music. Additionally, children are exposed to a variety of musical experiences through playing handbells, boom whackers, recorders, and non-pitched percussion instruments. The Children’s Choir rehearses on Sunday mornings at 9:00am in the Mabry Room. The Children's Choir sings about once a month during worship. They typically take a leadership role in the Christmas Eve pageant and present a Mother's day musical each spring. 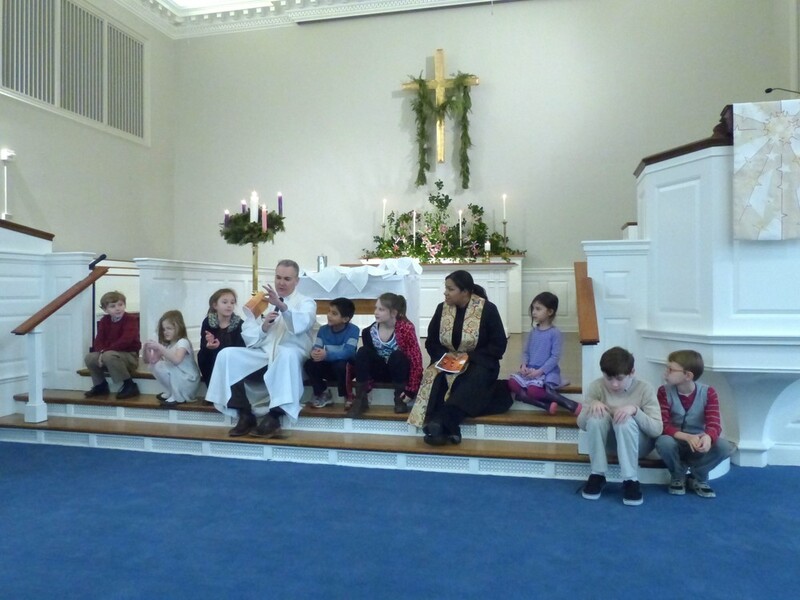 On Sunday mornings, children gather with their families in the Sanctuary for worship. There is a special Time for Children. After that, the children go with their leaders to Church School. Classes are currently divided by age group -- Preschool, K-2nd, and 3rd-5th grade. Through Bible stories drama, art, songs, and games our youngest church participants learn to love God and to love others. 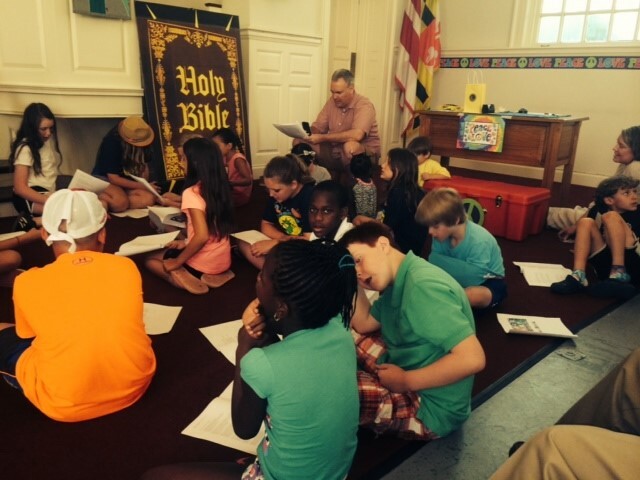 Each summer we have a week-long Peace Camp for pre-K through 5th grade. Through songs, stories, art, games and service projects, our children (and their youth and adult leaders!) learn how their faith helps them live peacefully and in harmony with themselves, with others, and with creation.